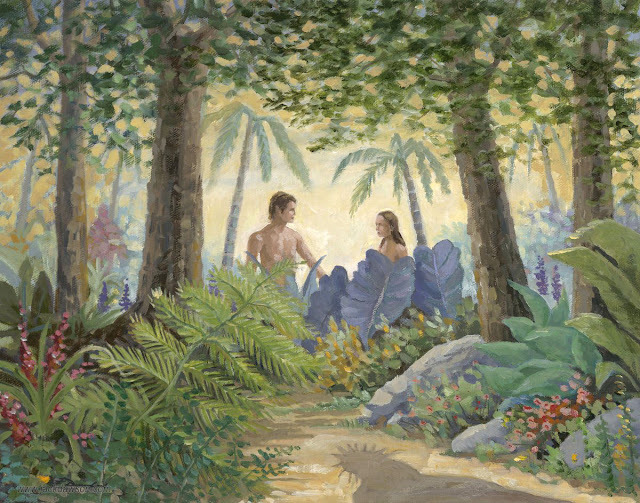 Even in the Garden of Eden, Jesus was always present. Can you find Him? Why do you think He is where He is? And God said, Let us make man in our image, after our likeness. Lord Jesus, thank You for making us in Your image and giving us life. Help us learn to “walk and talk” like You, so people around us will know we belong to You, and want to “walk and talk” with You, too. Do you see His shadow on the pathway? Jesus is waiting to walk and talk with Adam and Eve.